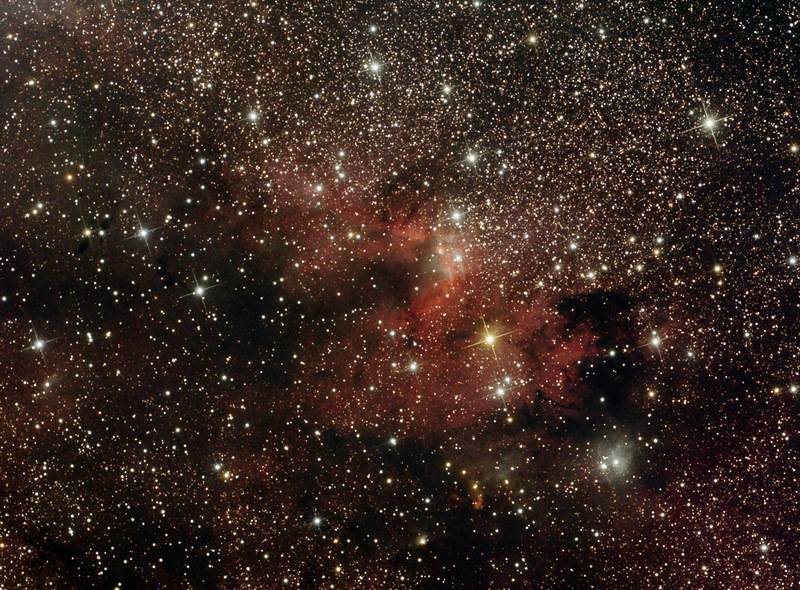 Heart Nebula Close-up of the central area of the Heart nebula (IC 1805), located in the constellation Cassiopeia. 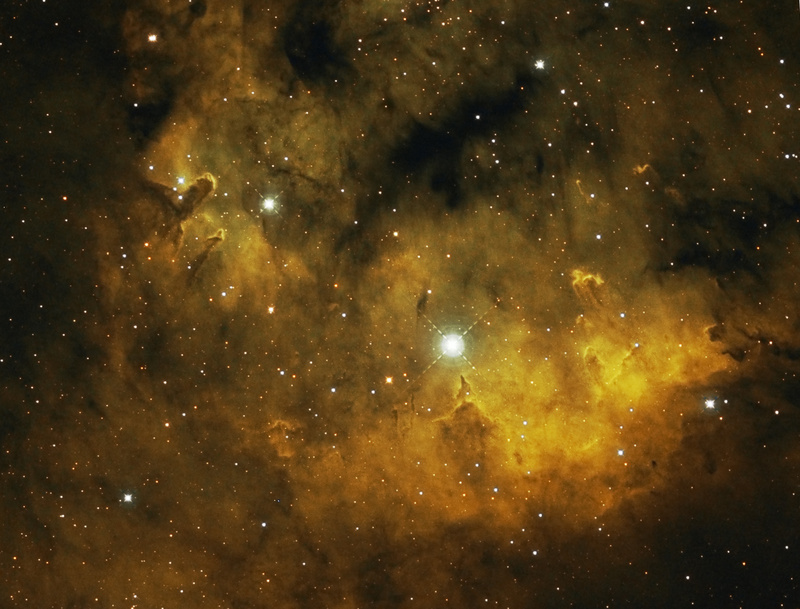 This is a false-color image taken through narrowband H-alpha, S-II, and O-III filters. 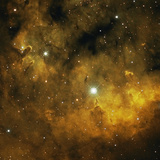 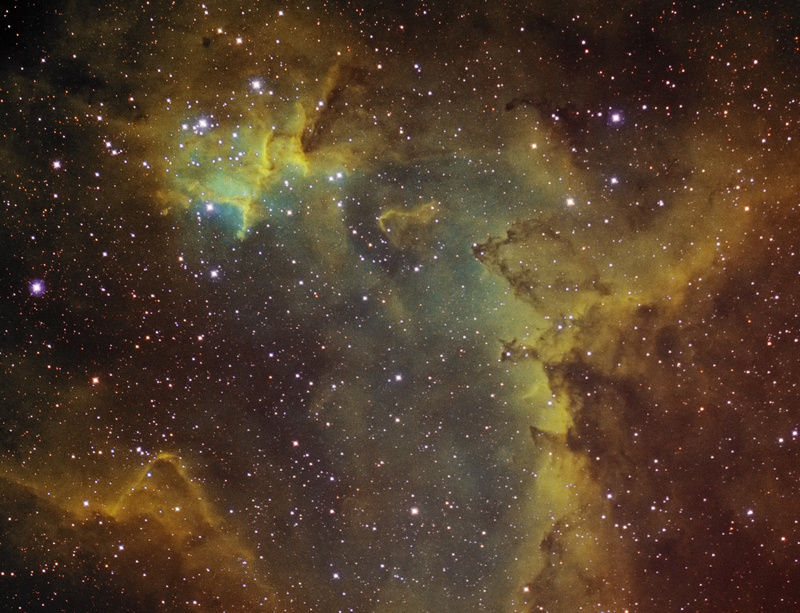 NGC7822 Close UpClose-up of an area in NGC 7822, a nebula located in the constellation Cepheus. 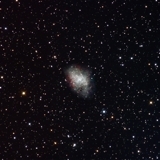 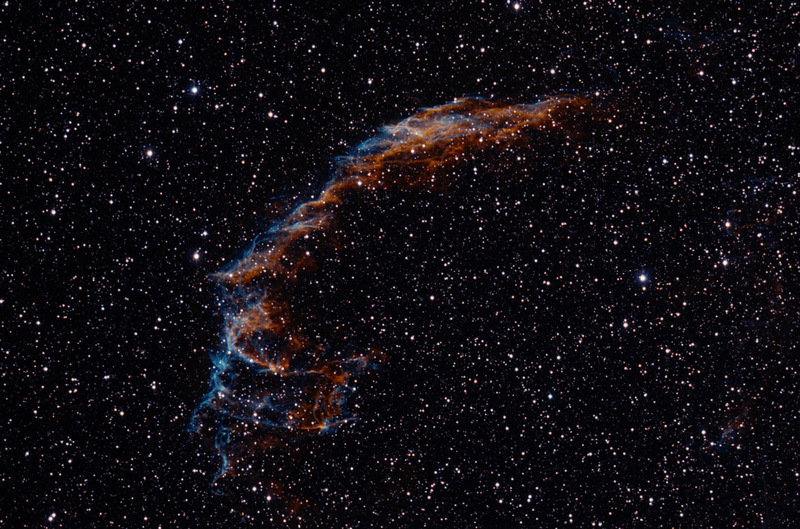 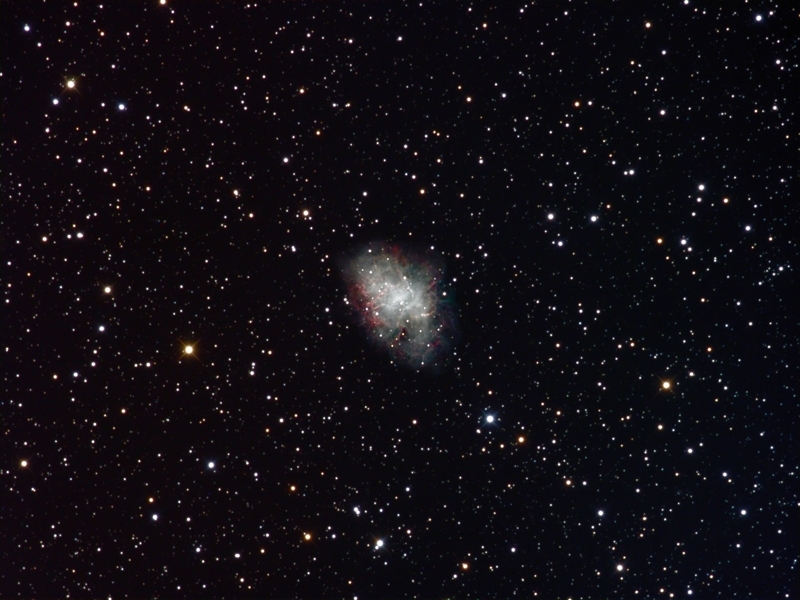 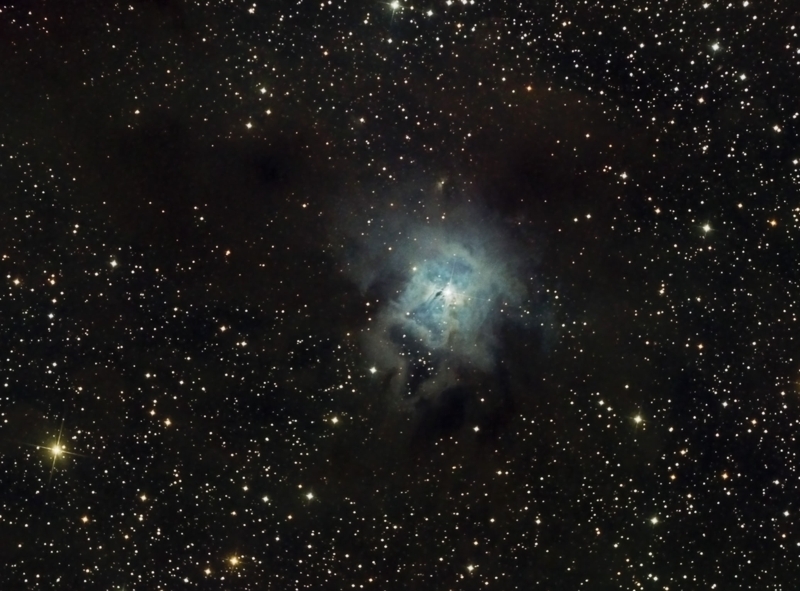 Taken through narrowband filters, and made prettier by using false colors (the nebula is actually very red). 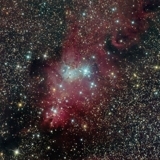 Cone Nebula regionThe "cone" is a triangular dark nebula near the bottom of the nebula. 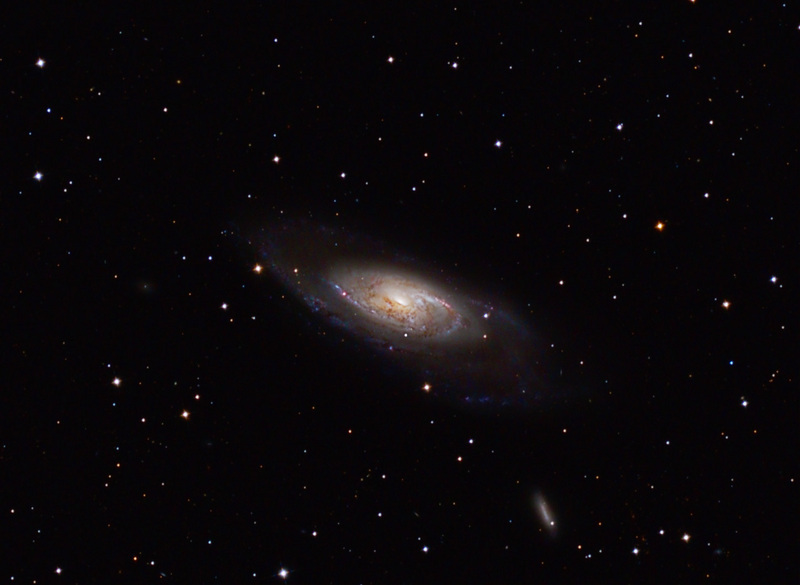 This is fairly old data (from 2006) that I recently re-processed. 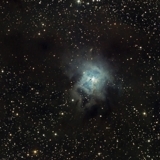 NGC7023 This smoky reflection nebula, surrounded by dark nebulas, is called the "iris" because it's shape is like the flower. 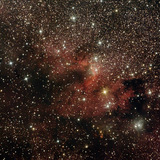 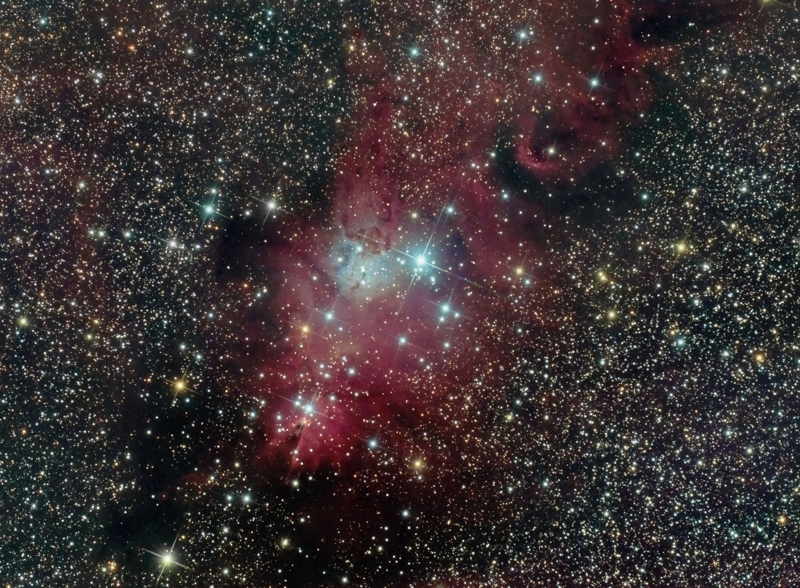 It's also known as Caldwell 4 (NGC 7023 is actually the star cluster within the nebula). 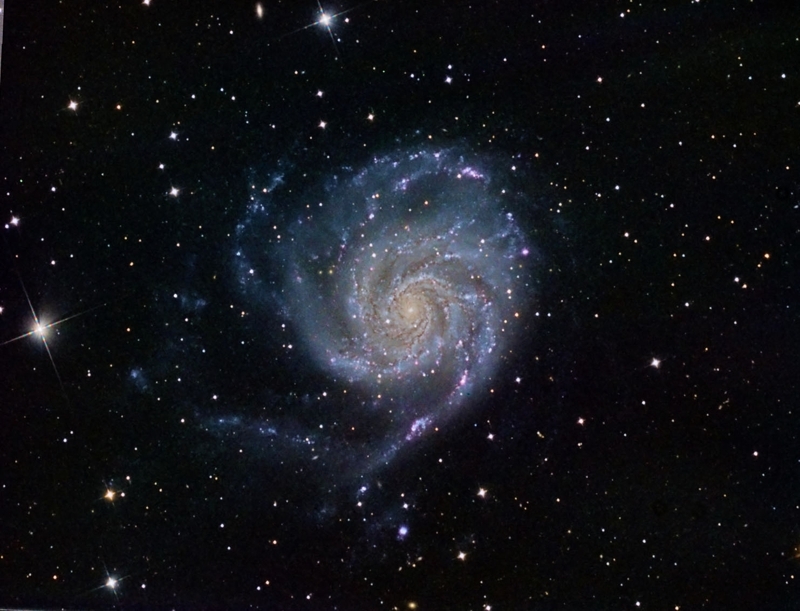 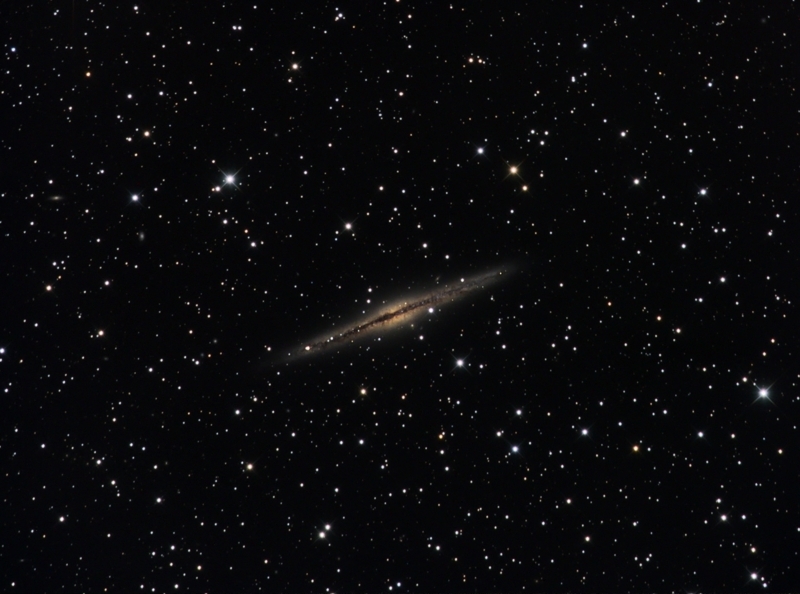 NGC 891A nice edge-on spiral galaxy (a pinwheel, but seen from the side) in the constellation Andromeda. 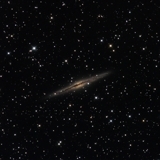 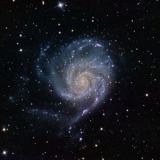 M106Bright spiral galaxy in the constellation Canes Venatici. 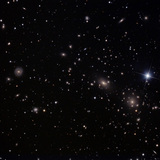 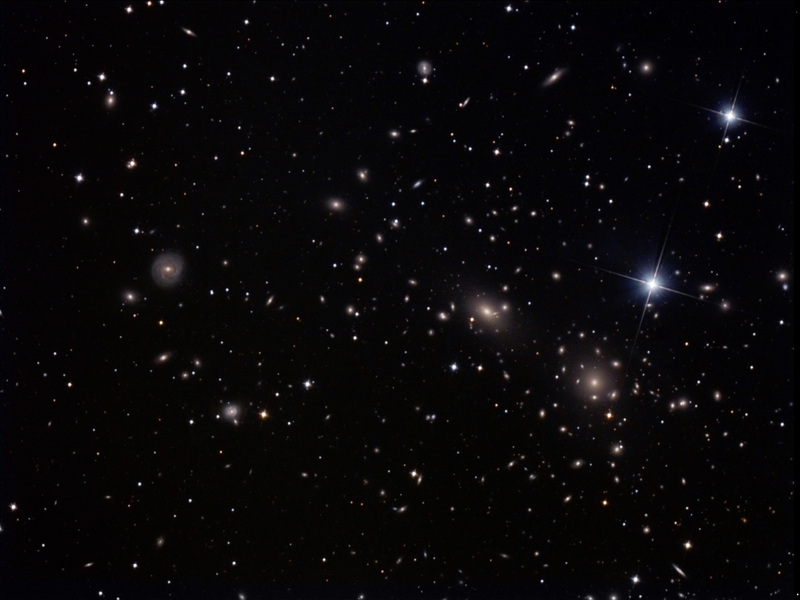 Coma ClusterA peek at the Coma Galaxy Cluster, which contains thousands of galaxies and is one of the densest clusters known. 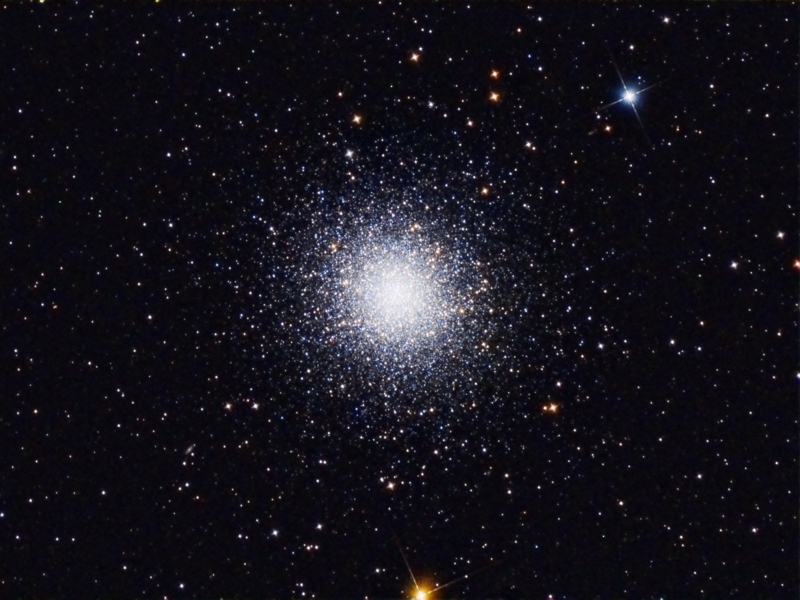 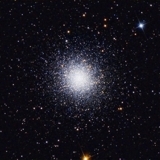 M13 The "Great Globular Cluster", located in the constellation Hercules. 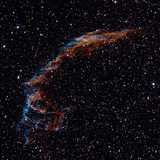 Eastern Veil nebula The eastern section (NGC 6992) of the very large Veil Nebula complex. 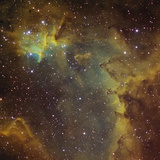 Shot through narrowband filters.